Shannon Moskoff shot the video of the two reptiles battling it out in the parking lot of a Starbucks in Boca Raton. 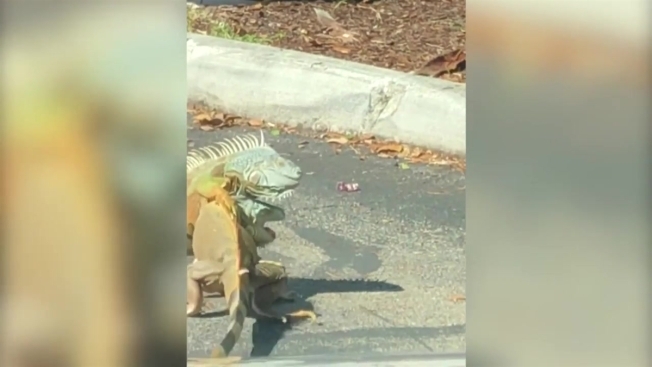 A fight that broke out near a South Florida coffee shop this weekend was caught on camera, but the combatants weren’t humans – they were two iguanas. Shannon Moskoff shot the video of the two reptiles battling it out in the parking lot of a Starbucks in Boca Raton, according to the Palm Beach Post, later posting it to her Facebook account. The video had been viewed over 4,000 times on social media and 3,000 more on YouTube. It is unclear what the fight was over or which iguana won the battle.